find varied slopes with mainly blue and red runs on the Porta Vescovo and the Passo Pordoi. Beyond Arabba’s main ski area, the Sella Ronda and the Alta Badia areas provide extensive skiing. Advanced skiers will find the exhilarating black ski runs from the scenic Porta Vescovo mountain, which reaches 2,500 metres, a real challenge as well as the testing skiing on the famous Marmolada Glacier. Varied runs around the resort plus a snowpark and half pipe at Passo Pordoi. Lovingly run by the Lezuo family, Hotel Evaldo has been a popular choice for Inghams customers for many years. Lying close to the resort centre and lifts, The Evaldo also runs a free shuttle to and from the lifts in the mornings and evenings. The Hotel Portavescovo offers excellent value in a great location. Set at the foot of the piste, you can ski right back to the door. The spa and heated pool are a great place to relax at the end of a hard day's skiing. This sumptuous hotel has all the fine qualities of a true Alpine hotel with touches of luxury thrown in. With excellent facilities within close proximity to resort centre and lifts, The Sport Hotel Arabba is rightly one of the most famous hotels in the region. Diego and his family always extend a warm welcome to their guests at the Hotel Olympia. The Olympia is situated 500m from both the centre and Burz chairlift. From its sunny location above the resort’s centre, the small and charming Alpine style Garni Barbara is truly a home from home! It is beautifully furnished throughout and offers high quality accommodation and excellent service. 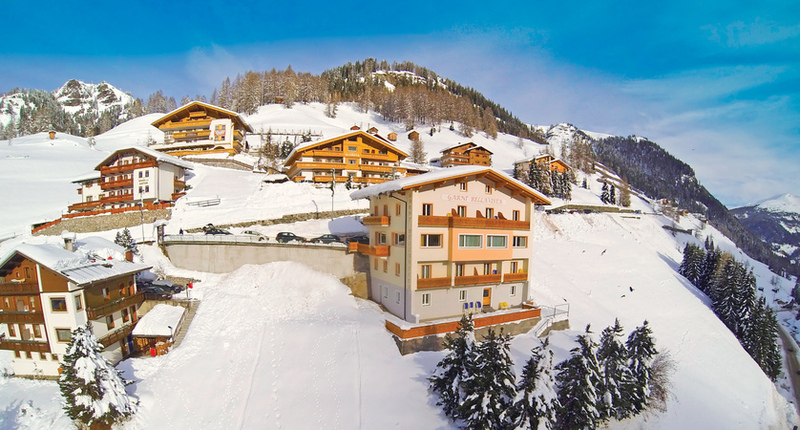 Hotel Bellavista is a small hotel with a welcoming atmosphere, 5 min walk to the centre and Burz chairlift, Free use of Hotel Portavescovo ski deposit and spa centre including swimming pool.